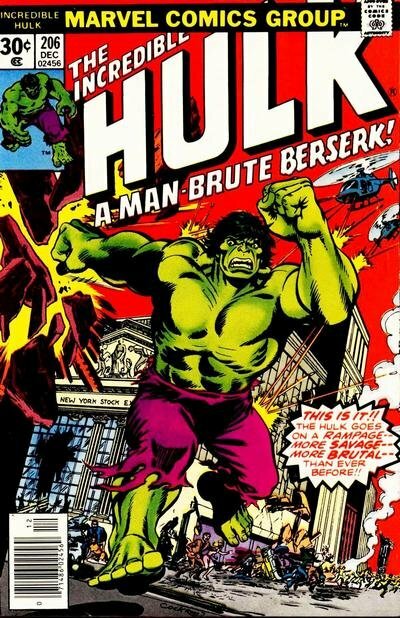 Click Here To See Incredible Hulk #206 Comic Book! Check out this very nice 1976 Incredible Hulk page which was penciled by the great Sal Buscema, and inked by Joe Staton, from the story titled: "A Man-Brute Berserk!" A neat 1970's Hulk page!